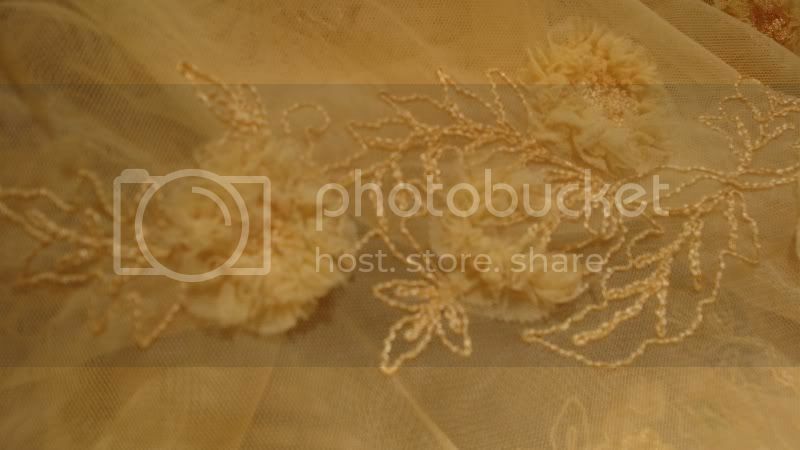 Embroidered tulle with raised ruched floral motif. Has a slight natural stretch. 55" wide. 100%polyester. Colour is maize. Very designer inspired.